Since I’ve become a crazy plant lady, I’m always looking for planters to hold my collection. Big plants like my fiddle leaf figs (see how to propagate them here) can get heavy, so I try to put them in plastic planters…. but those don’t always have the look I want… so I’ve been trying to dress them up. I’ve hidden some planters inside baskets, and now, for my big tree, I decided to make a fabric bag to dress up the plastic pot. Fabric – main, border, and liner. I used faux suede for the border and outdoor fabric for the liner, since I thought they would hold up better to moisture and splashes. Measure the diameter and circumference of the top of the pot (remember c=pi x d!) Measure the height of your pot. 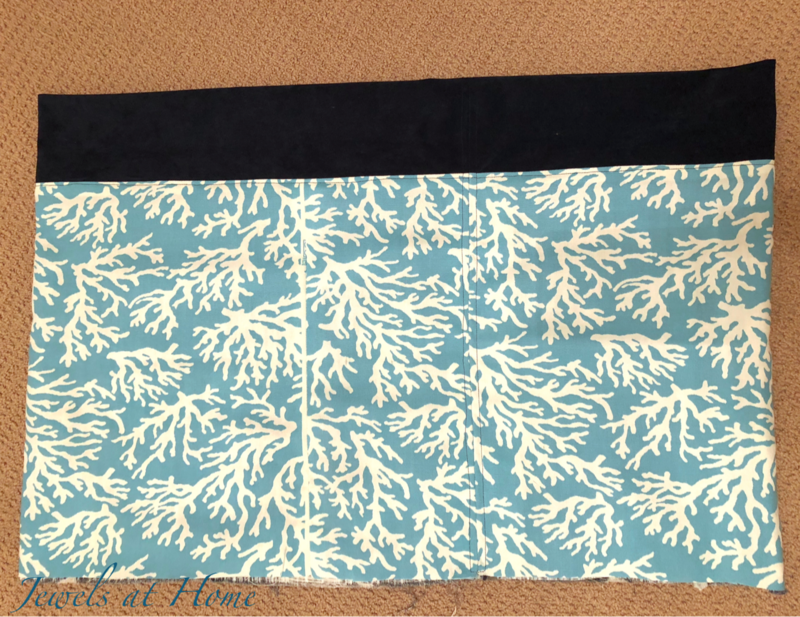 For the sides of the pot, cut rectangles out of the lining fabric and the main fabric. The width should be the circumference + seam allowance. I had to join two pieces, because I used a big pot! The height should be the height of the pot. Don’t add seam allowance to the height, because you actually want these to be a bit shorter than the pot when finished, leaving room for the border. For the border, cut a rectangle with a width that is the circumference + seam allowance and about 8-10 inches high. The height is flexible, since you’ll be folding the top of the bag over on itself. Now, For the bottom, cut two circles with the diameter of the top + seam allowance. I used the lining fabric for the inside circle and the border fabric for the outside circle. And here is the finished bag with the pot inside. I folded over the top edge, so it stays snug around the rim of the pot. But here it is, with lots of room to grow until next year! 😂I like that one, too!